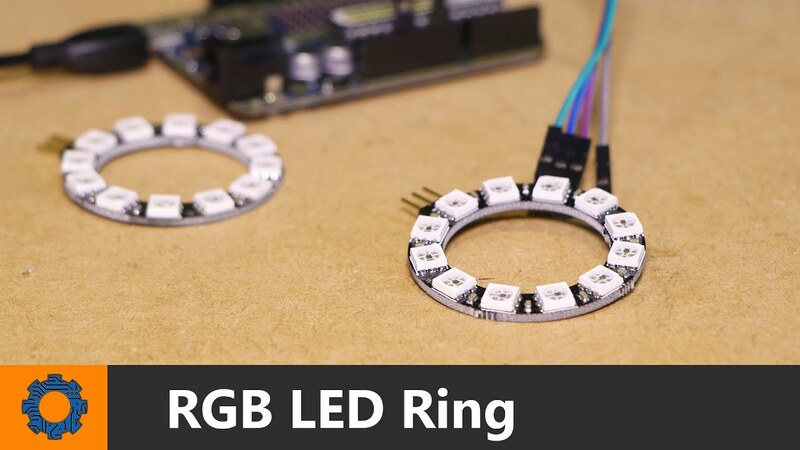 The single RGB LED that I used in the first place had a GND, R, G, B pins, so I simply connected R,G,B to individual pins on the arduino and the GND to the GND on the arduino, I�m assuming the + was coming from the R,G,B pins. Since this strip has +12V, I�m assuming each of the colour pins R,G,B must be GND. How do I go about connecting it? We start the sketch by defining the pins we used to connect both the common cathode and common anode RGB LEDs. These all need to be capable of PWM so if you are using a different Arduino then you�ll need to change them accordingly. Connect the LED's anode lead to +5v and connect the 3 RGB cathode leads to digital pins 9, 10, 11 respectively. Use 220 Ohm resistors on each pin of the cathode pins. Use 220 Ohm resistors on each pin of the cathode pins. First, an important point is that, since we will be using the PWM technique to control the brightness of the LEDs (Red, Green and Blue separately), make sure that you connect the Red, Green and Blue Anodes of the RGB LED to three PWM supported pins of Arduino (assuming you have a common cathode RGB LED). I used this tutorial on the AdaFruit site to figure out how to change the colors of the RGB LED, and this tutorial on the Arduino site to figure out how to work with a potentiometer.